Tactical excellence meets lightweight utility. 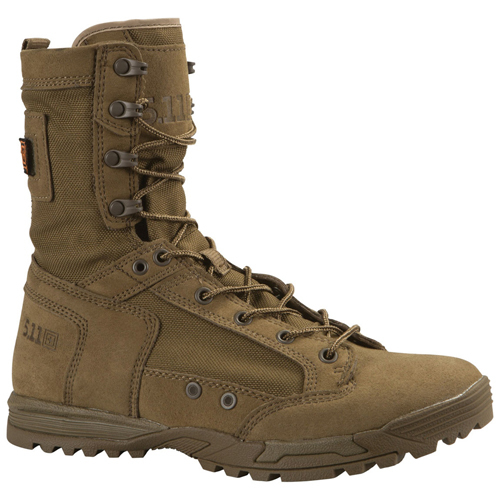 The Skyweight RapidDry Boot features non-metallic construction for agility and responsiveness. A CMEVA midsole and nylon shank provide stability, while an Ortholite insole, quick-dry Clarino suede, and rugged nylon present a comfortable, professional profile. Forefoot and arch lugs and a heel brake offer traction, and the 8 mm heel-to-toe drop promotes an accelerated stance. These boots don't feel like boots. They're comfortable, quick-dry, and ready to run.